Check out our inventory of constantly updated tickets for every event nationwide. We carry many tickets with prices below face value making our tickets some of the cheapest available on the internet. It is amazing how much less you pay for concert tickets when you use LetsGetTickets vs. the competition. We scour the internet to make sure you always can find the best deal on tickets to any concert. The Rolling Stones is an English band which was established in the year 1962. Brian Jones was originally the founder of the band but after a series of problems, he left the group. Today, the band members are Jagger, Watts, Richards and Ronnie Wood. In the 1960’s, this is a band which received much fame in the United States. The trademark of this band was originally meant to be rhythm and blues as well as soul. However, they have even produced a number of songs with a pop sound. In 2013, there are a number of concerts set to be held by this group across the world. As of May 31st, the group will be bidding the month farewell with a performance at the United Center in Chicago, USA. Hence, lovers of this British artistes can well opt for a date with these performers. On Monday of June 3rd, the group will stage another concert at the same venue. People with the ability to come to this venue therefore have two chances to marvel in this entertainment. Three days later on the 6th of June, Toronto people will also have the opportunity to sample the musical prowess of The Rolling Stones. At the Air Canada Center, you will be able to interact with the British band. On Sunday, 9th of the same week, at the Bell Center in Montreal, there will be staged yet another performance. The Rolling Stones will make a comeback again to the USA with a performance at the TD Garden in Boston, MA. 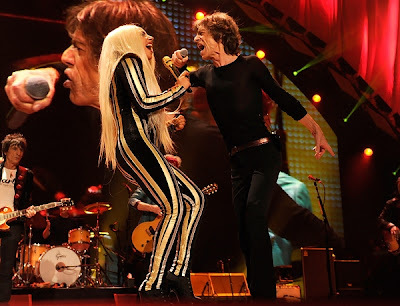 There are indeed a lot more concerts by The Rolling Stones lined up for 2013.